Sophisticated timeless elegance rejuvenates and elevates the guest arrival experience with subtle refreshing contemporary flourishes that reference the exquisite style and authentic architecture of the hotel. 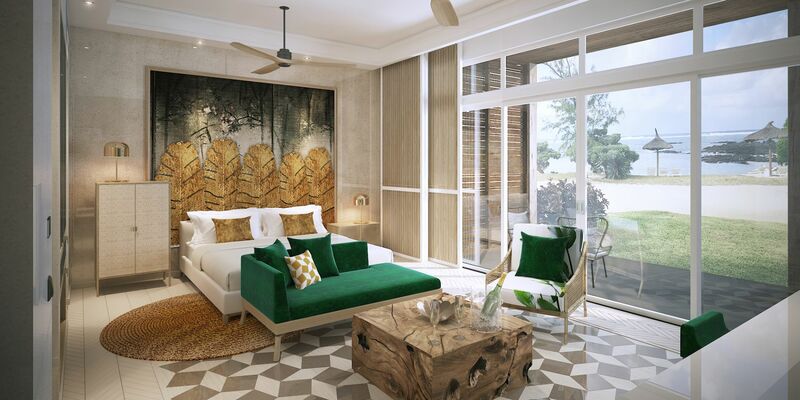 The peaceful tranquillity of the beach backdrop coupled with the lusciously layered plantation paramountly present a true sense of cohesion, comfort and content. 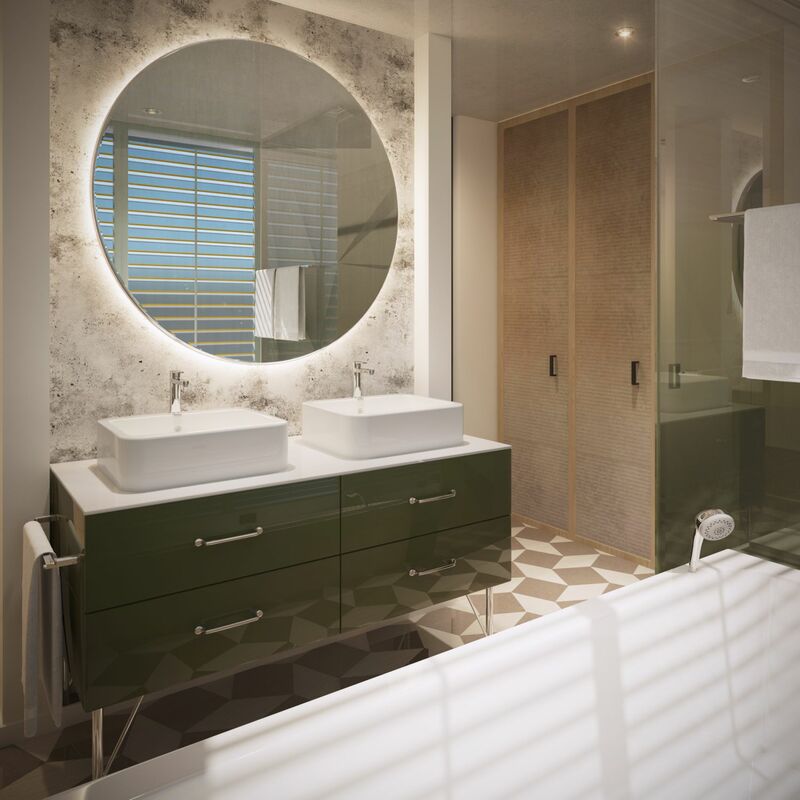 Continuous affinity and appreciation of the beach resort is reflected through fresh finishes proposed by the light timber oak herringbone flooring and inlay ceramic timber pattern detail adjacent to clean line gloss wall finishes. 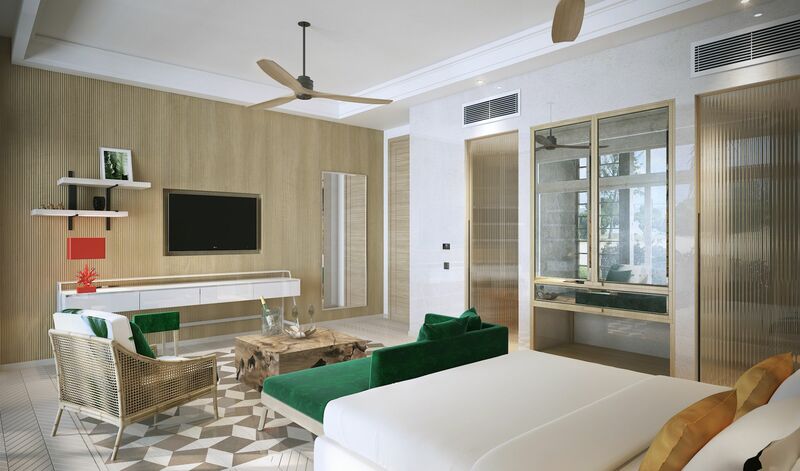 The elegance of the fresh finishes is complimented and contrasted through contemporary accents of colour inherent to the hotel grounds, which are detailed throughout the carefully selected fabrics, artwork and accessories. The overall interior styling becomes refined and timeless, reassuring longevity and abundance whilst allowing effortless modification through distinct accessorising.